Hello. I’m a London-based journalist (food, restaurants, hospitality and occasionally food-related travel). I’ve been writing professionally since 2008, but I’ve also been blogging about London street food as a personal hobby since 2012. 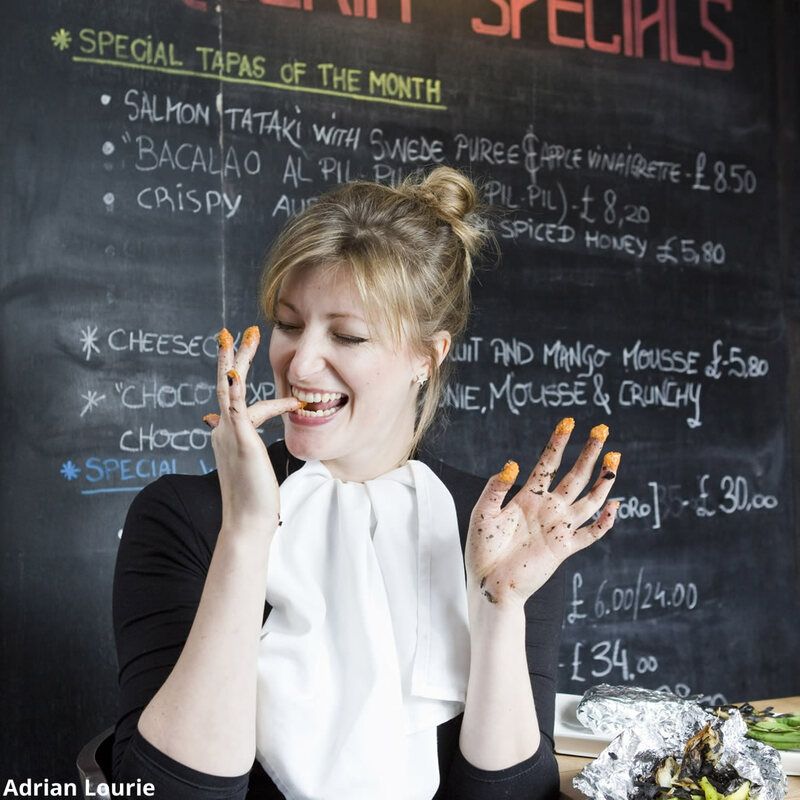 Alongside writing, I’m usually working on a number of other projects – leading private and public food tours; volunteering with the Incredible Edible Lambeth food network in particular by helping out with their comms and local food tours; and consulting for start-up or major food brands. Two friends and I recently launched AMP (A Meeting Place), a digital zine to showcase and amplify women’s voices in food and I have also spent the last 11 months preparing to launch an industry-related project, which will go live in 2019. Having written for the student newspapers, journals and magazines whilst at university and during a year living in Northern Italy, I was employed by the London Evening Standard newspaper on the features desk between 2008-2015, latterly as the paper’s food editor, before leaving to go freelance in January 2015. I now continue to write for the Evening Standard, I am the ongoing food writer for the bi-annual men’s publication, Watts What magazine, and also write or have written across a variety of titles, including various national newspapers (The Times, The Independent, The Telegraph and The Guardian), magazines (Conde Nast Traveller, ES Magazine, Foodism, Escapism, Sphere, Sunday Times Travel Magazines), online publications (Off/Cuts, Vice Munchies, Berry Bros. & Rudd, Skyscanner, The Keep Boutique, Impact Hub Brixton) and the innovation media company, Stylus. Examples of my work can be found around the site.